When you build a website but don’t have a plan to promote it, it's like building a cabin in the woods without any roads leading to it. Small Business Websites Need SEO, Too! Small business owners face the same challenges as anyone trying to build a business. They want people who are searching for their products or services to find their website. Google doesn't know the size or revenues of your business. Google is an algorithm that determines if you are an "authority" on the keywords people are using to find your business. SEO is a content strategy, not a "geek" strategy. Getting your website found is a combination of keyword-rich content and a smart digital marketing strategy. We'll help you identify the keywords your potential customers are using and create interesting content they'll want to read. And LTR Digital, our digital marketing partner, will help create a digital marketing strategy to reliably drive traffic to your website. What are keywords? Keywords are words that people use to describe your product or service, usually strung together into two to four keyword phrases. How do I pick keywords? The sweet spot in search is to use keywords with high number of searches, but a low amount of competition. Google Adwords' keyword planner may tell you how competitive your keywords are if you were to conduct an Adwords campaign. But you want to know how competitive these keywords are to rank organically (non-paid). That's where VERVE can help. We can help you find the keywords that your customers use to find your products and services and then create content that will drive traffic to your site. 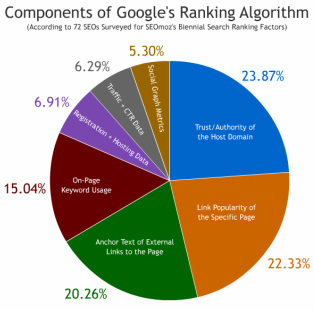 Getting links to your site is important because the more "popular" you are, the higher you'll rank in search. The more links, the merrier! VERVE Tip 3: Rinse and Repeat! Guess what? Finding the keywords for your front page is just the beginning. You'll need to use keywords on every page of your website and every piece of content you create. We know this can feel overwhelming. But like the turtle, business owners who succeed understand that slow and steady will win the race to get found and connect with customers online... When you're ready to get started, check out our packages & pricing!